Citrus scented streets, Art Nouveau buildings, mosaic pavements, blue/white ceramic tiles (azulejos) decorated walls, arcades, columns and water tanks, marble towns of the Alentejo; all go to make this spring journey through Portugal and Madeira one to remember. 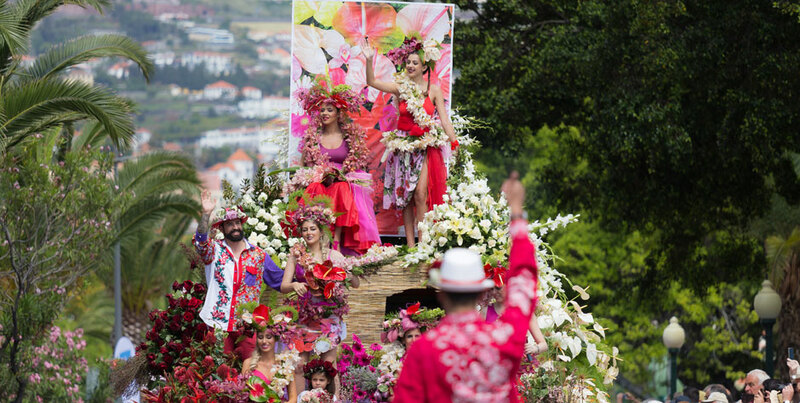 Highlight is Madeira’s famous Flower Festival. Meet your Ross Tour Leader in the departure lounge at Sydney Airport or meet up at the hotel in Lisbon Day 2. Arrive into Lisbon the capital of Portugal. Furious redevelopment before and since Expo’98 has made Lisbon an enticing tangle of past and present. An orientation tour of the city will help us get our bearings, then check in to our hotel (4 star), located near the city centre. Time to rest before our Welcome Dinner in the hotel restaurant. Today we explore Sintra, a cultural landscape all UNESCO heritage listed and situated on the northern slopes of the craggy Serra de Sintra. This hilly and slightly cooler climate enticed the nobility and elite of Portugal, who constructed extravagant villas and surreal palaces on the wooded slopes. Visit Monserrate on its rocky spur, with views over a vast expanse of plain and sea and backed by wooded slopes and mountain peaks. This setting epitomizes the romantic spirit with which Sintra is associated. Monserrate has been restored to its full spendour ; Anglo-Portuguese garden and 19th century gothic revival palace with Oriental/Moorish overtones. Next stop is Palacio de Seteais (now a hotel with well tended gardens), built in 1783 by the Dutch Consul, Daniel Gildermeester. 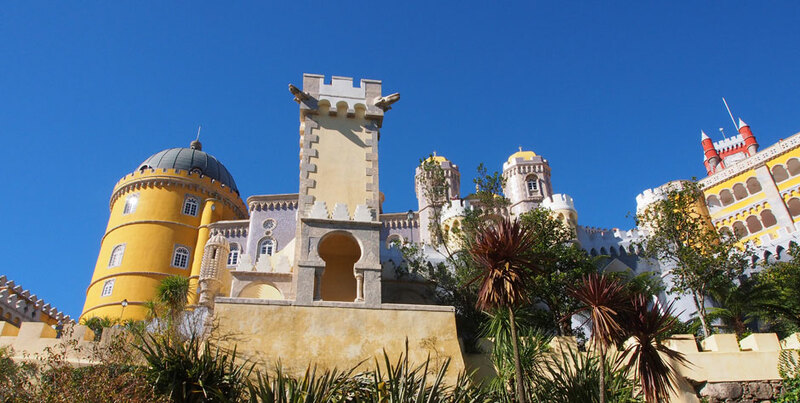 Finally Pena Palace, situated high on a rocky outcrop, exemplifies the 19th century Romantic style of architecture. It’s a hedonistic mix of decorative battlements and mythological statues. 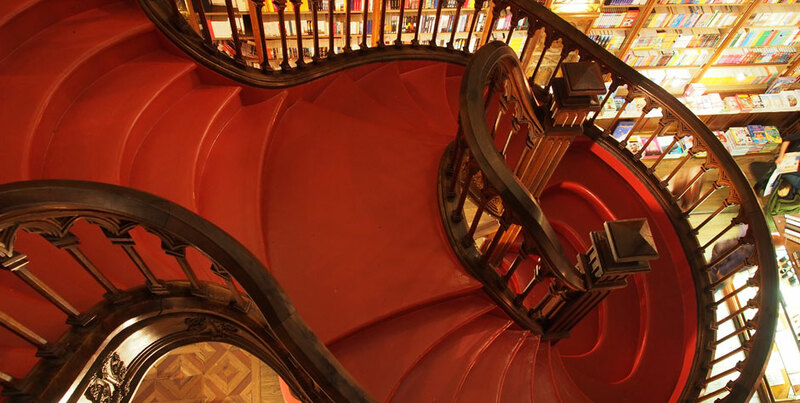 Travel back to Lisbon with the remainder of thre day free. Morning walk down the Avenida da Liberdade to Rossio and Baixa in the old part of the city; one of four main districts. Note the elegant shops within the two central squares, Rossio and Black Horse Square. We’ll catch the Elevado to reach the upper part of the city, Bairro Alto with views of the castle, river and ruins. Wander through the Alfama District, the true home of ‘Fado’, the melancholy Portuguese “blues”. Down to the waterfront this afternoon to visit the Belem District, one of the launching pads for Portugal’s Age of Discoveries. At lunch today we will taste test the original Portuguese tart at Pastéis de Belém that dates back to 1837 , following an ancient recipe from the Mosteiro dos Jerónimos. The secret recipe is recreated every day in this historic bakery, by hand, using only traditional methods. Even today, the Pastéis de Belém offer the unique flavour of time-honoured Portuguese sweet making. See the impressive Discoveries Monument to Portuguese sea power and the Tower of Belem, at the mouth of the Tagus River, where Portuguese caravels arrived, laden with spices and Oriental treasures. Its stonework is largely Manueline, an exuberant style of late Gothic architecture characterised by maritime motifs unique to Portugal. But the Manueline masterpiece is Mosteiro dos Jeronimos, commissioned by Manuel I in gratitude for Vasco de Gama’s discovery of a sea route to India and his safe return. Its grand façade, its scale and elaborate stonework has made this monastery a national symbol, due to the fact that it is closely associated with Portugal’s “Age of Discoveries”. This monastery and the off shore watchtower, Tower of Belem, are UNESCO World Heritage listed. Back to our hotel with time to rest before a special cultural show and dinner this evening. Morning visit to the Palace of Queluz in the hills outside Lisbon. 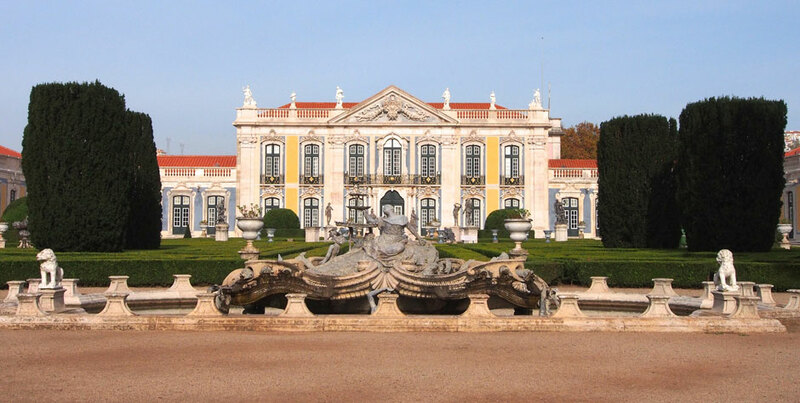 This royal summer palace was built in 1746 by Dom Pedro as a sanctuary from the royal court. There’s a remarkable balance of architecture and landscape with reception rooms opening onto a terrace surrounding the Sunken Parterre. See the Pensile (Hanging) Garden, built over the water reservoir and the Tile Canal where the Royal Family sailed in small boats on summer evenings. Decorated with lakes, sculptures and statues, the gardens were a privileged place of leisure for the Royal Family and the court. Next stop is the Palace of Fronteira, one of the finest in Portugal, with its formal garden built as a huge open-air gallery to display a collection of 17th century azulejos (tiles) on walls, staircases, benches, balustrades and troughs. The garden is a vast box parterre, quartered and further quartered around a set of five fountains. Water tanks were usually placed at the highest part of the garden to provide water for the house and garden during summer droughts. However the Great Tank at Frontiera adjoins the low level parterre and is integrated with it. The rest of the garden unfolds in a series of surprises; the Star Garden, the Sunken garden and the Grotto, surrounded by a continuous built-in seat, and decorated with comic tile pictures. The afternoon is free. Option to visit Museu do Azulejo (Tile Museum) housed in a 16th Century convent, to learn about azulejos (tiles). 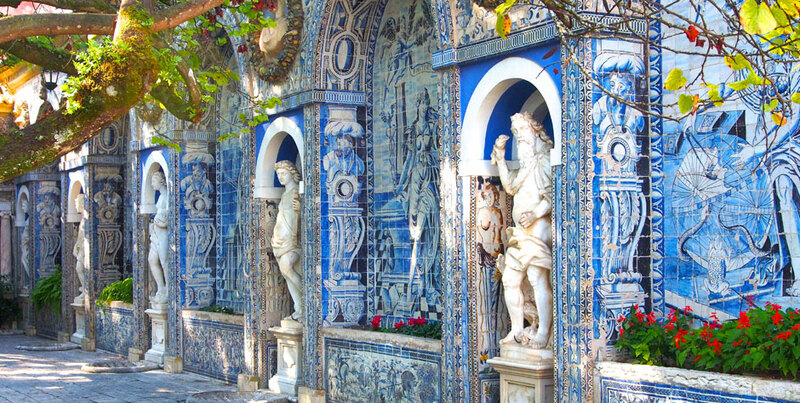 These well loved Portuguese blue/white ceramic azulejos, decorate walls, arcades, columns and water tanks. Much of the history of Portuguese has been painted onto these tiles. Morning flight to Madeira and the city of Funchal which turns into a floral stage at this time for the Flower Festival. Settle into our historic hotel Belmond Reid’s Palace located to the west of Funchal Bay in its imposing promontory looking out over the Atlantic Ocean. It’s customary to take afternoon tea on the terrace and that’s just what we’ll do! Then our hotel guide will show is through the tropical terraced gardens. Meet up for dinner tonight in the hotel restaurant. We take the cable car from Funchal to the village of Monte to see the tropical garden and then on to the Botanic Garden. The subtropical climate here on Madeira encourages exuberant vegetation and lovely gardens. We see indigenous plants of Madeira and other Atlantic islands; Azores, Canaries and Cape Verde. This skyway allows access to a rugged landscape and offers panoramic views over Funchal Bay and the River of Joao Gomes. Lunch today is included in Funchal. Two thousand exotic plants exotic and endemic ; orchids, magnolias, azaleas, palms, ferns and cacti. 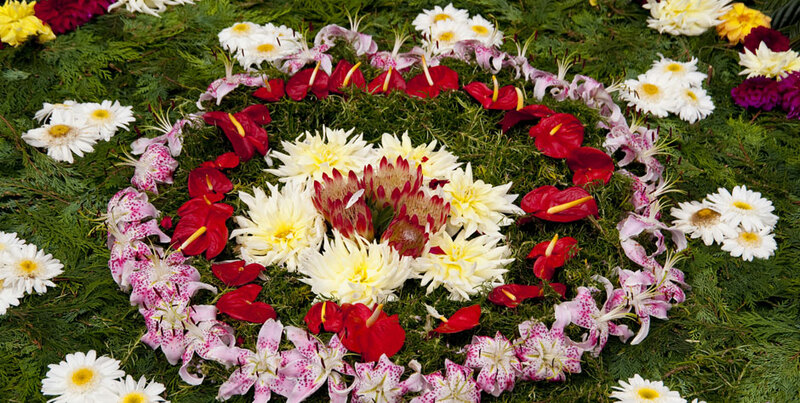 Boavista Orchids is a beautiful place with colour and fragrance, but also a place of science and culture. 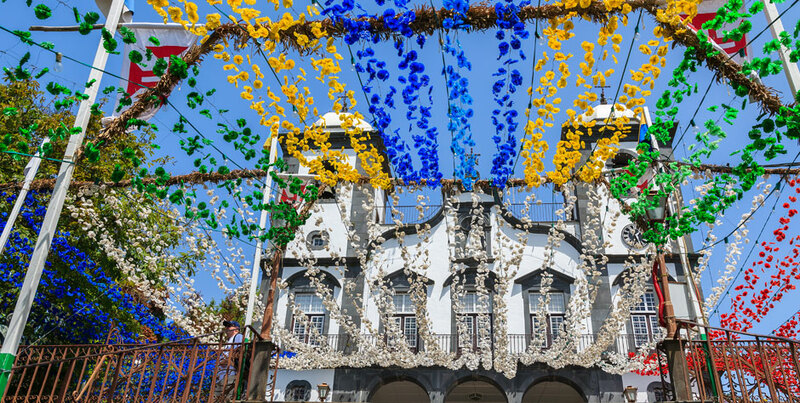 Explore Funchal this morning with the Flower Festival underway; carpets of flowers, outdoor concerts and fabulous food. Many of the buildings here date from its heritage as a ‘sugar’ town in the 15th and 16th centuries. The magic of this event starts with the Children’s Parade with hundreds of children dressed for the occasion parade into Municipio Square. There’s a beautiful flower mural, symbolically named “the Wall of Hope” (Muro da Esperança). Free afternoon. Scenic drive this morning to visit the eastern end of Madeira. We’ll take the scenic roads of Santo da Serra to a famous view point in Portela for views of the north coast over Porto da Cruz and Eagles Rock. After lunch we walk one of Madeira’s levadas, open canal system developed early 16th century to distribute water from the wet regions on the north of the island to the drier sun parched regions of the south. 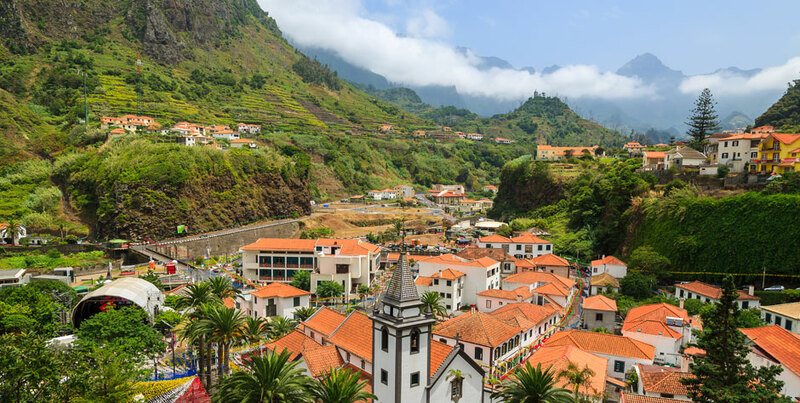 Madeira is mountainous, and levadas provide easy and relaxing walks through beautiful countryside filled with laurel forests. Back to Funchal this afternoon in time for the famous Flower Parade of floats with dancing and colourful costumes. Travel back to Lisbon this morning, then an onward flight to the historic coastal city of Porto. This region is famous for the production of Port, which is still stored in the vast cellars that stretch along the banks of the mighty Douro River. This river is the scenic backdrop to Porto and is crossed by magnificent bridges. Settle into our hotel for the next three nights. This morning we will walk through this UNESCO heritage listed old city, the Ribeira, finishing at the Crystal Palace. Set on a bluff overlooking the River Douro, this botanical garden is a mosaic of small gardens, one of Porto’s best-loved spots. This afternoon visit Casa de Serralves. Great gardens from the 1930’s are few in number. Art Deco in style, the casa is pink in colour with a spare silhouette with minimal decoration. It’s the collaboration of three master craftsmen, Emile Ruhlmann cabinet-maker, Edgar Brandt ironworker, and jeweller and glass worker, Rene Lalique. The garden is the work of French landscaper Jacques Greber. The style is as architectural as the house, so that even though they are not the same “school”, they fit together and make a huge impression. Wander through shady avenues of liquidambars, horse chestnuts, oaks and beech, all in new spring leaf. The garden is terraced down to the lake and beyond lies the park and the farm. Return to your hotel late afternoon. Free time this evening to go down to the banks of the ever present Douro River. Casa do Campo is a country manor house in an unspoilt area high in the hills above the Tâmega River. This impressive stone and stucco house is fronted by a wall enclosing a small Renaissance chapel with a prize-winning garden. Some of the camellias here date back 200 years. Specialists claim that the oldest camellia in Portugal is to be found here. Quinta da Avelada is next, an enchanting garden with meticulous planting; follies, fountains and waterfalls. It’s a journey back to the time of the traditional Minho families who lived in the region’s typical “solares” or manor houses. Vineyards stretch into the distance. After a garden walk we’ll go out onto the terrace for a tasting of their famous Vinho Verde (green wine) and their Rosé, with lunch. Cross over the Douro River this afternoon to Vila Nova de Gaia, the neighbourhood built and sustained by fortified port wine, to visit Taylor’s Port Cellars. As the sun sets we’ll be captivated by the way Porto looks like a pop up town, with medieval relics, soaring bell towers, extravagant baroque churches and stately beaux-arts buildings, all piled on top of one another, and illuminated by streaming shafts of sunlight. Travel out into the countryside (Alentejo) to Conimbriga, to discover Portugal’s finest Roman ruins that date to the 1st century. You can see every aspect of Roman life in the museum and see the recreation of a peristyle garden of the period. Although Conimbriga wasn’t the biggest Roman city in Portugal, it’s the best preserved. The city walls are largely intact and the mosaic floors and foundations of many houses and public buildings remain. In the baths, you can see the network of stone heating ducts beneath the now-missing floors. Archaeologists estimate that only 10 percent of the city has been excavated, and more is uncovered every year. We are heading to Evora this afternoon, dating from Roman times and the capital of the Alentejo. A day to explore the marble towns of the Alentejo, the ‘land beyond the Tagus’. First stop is the ancient town of Vila Vicosa one of the most beautiful marble towns of the Alentejo. Everything around the peaceful broad streets lined with orange and lemon trees seems to be made of marble. Benches, pavements, framing of windows and doorways, and even the toilets in the bus station are made of the local marble from the enormous quarries outside the town. Dominating the vast main square, is the long marble façade of the three-story Royal Palace. We’ll have lunch here in Vila Vicosa then travel on to Estremoz. With its ramparts and fortifications and its a massive open town square (Rossio), Estremoz is another famous marble town, with decorative marble facades and calcades (cobbles) in geometric patterns on the pavements. But despite this, Estremoz is a simple market town, famous for its earthenware pottery, preserved plums and whitewashed houses, decorated with azulejos and wrought iron balconies. Travel back to Evora through the Alentejo which is home to thousands of olive trees with gnarled trunks and silvery foliage that catch the light and give Portugal its precious olive oil each autumn season. We’ll see vast cork forests, dark handsome trunks, whose bark is harvested every nine years. A walking tour this morning through Evora with the Saturday Market in full swing. Originally settled by the Romans in the 1st century AD, then fortified by the Moors, it flourished during the 15th century. We’ll visit the (Romanesque-Gothic) Évora Cathedral, together with the neighbouring Roman Temple, one of the most remarkable monuments in Évora; the two buildings stand practically side-by-side, two periods of history more than a thousand years apart. The remains of Templo Romano, date from 2nd Century with 14 Corinthian columns capped with Estremoz marble. Inside the town walls we’ll wander the narrow streets, stop for coffee in the Praça do Giraldo, the main central plaza of Evora and heart of the city. Farewell Dinner this evening. Morning transfer to Lisbon airport for our homeward flight via Dubai. Late evening arrive into Sydney. To secure your booking and make your deposit of $800, please complete our online booking form. You will be contacted by a Ross Tours Travel Manager to confirm your details and preferred method of payment. Prices based on minimum 12 passengers. Price is based on departure from Sydney. Price from NZ and other Australian ports available on application. Book and pay in full by 1/12/18 to receive the Early Bird Discount of $300.00 per person off the final instalment. Read what our tour leaders have written here. The spectacular Monaro High Country at the foothills of the Snowy Mountains is home to some of Australia’s most stunning private gardens, situated on historic merino sheep and cattle stations. The Monaro Plain is beautiful in its isolation, far horizons and swaying grasslands. The sight of the velvet dark blue sky immediately after sunset is spell-binding. Jindabyne is our base for this six-day short break. The brilliant colours of autumn are sublime at this altitude.